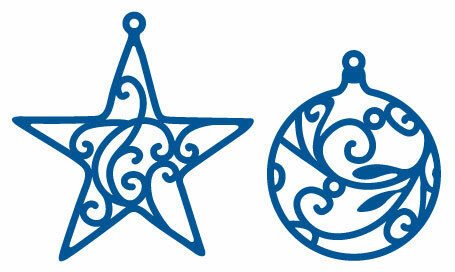 A pack of two die cutting stencils, a round bauble and a star, both with an intricate design inside the shape. Use them to make your own card toppers or hanging Christmas decorations. Marianne Creatables die cutters are compatible with most leading brands of die cutting machine, including Cuttlebug and Big Shot please refer to manufacturers instructions or details on the packaging for the correct 'sandwich' for your machine.